Opinions on corporate and brand identity work. Launched in 2013, Fox Sports Netherlands is, as its name implies, the Dutch version of Fox Sports, consisting of seven channels and a significant online presence. 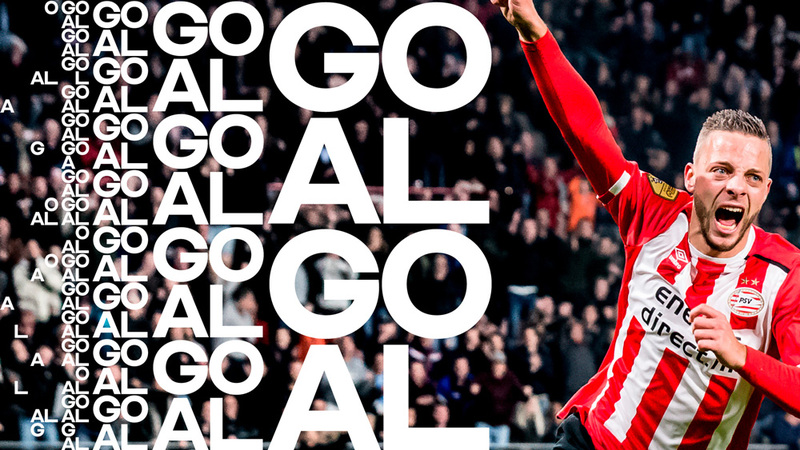 It is owned by Fox International Channels Benelux and Eredivisie Media & Marketing CV, the company that manages corporate media and sponsorship rights for Eredivisie, the Dutch premier football league — which makes football the primary focus of all the Fox Sports channels, sprinkling some other sports in between. 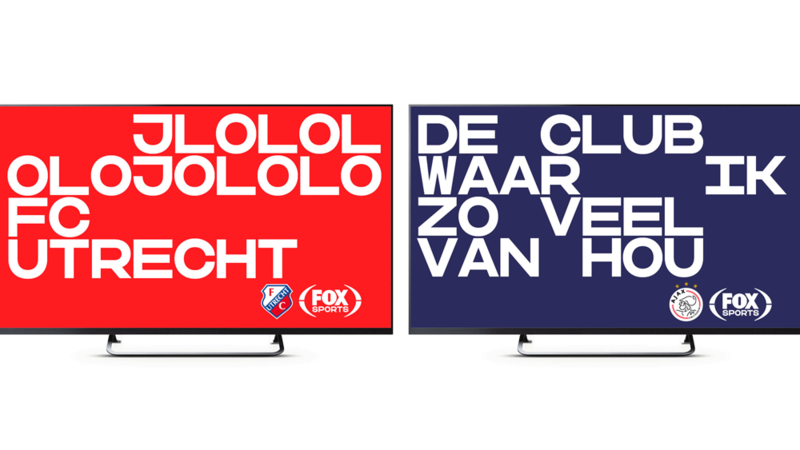 This week, Fox Sports Netherlands introduced a new identity and on-air look designed by London, UK-based DixonBaxi. 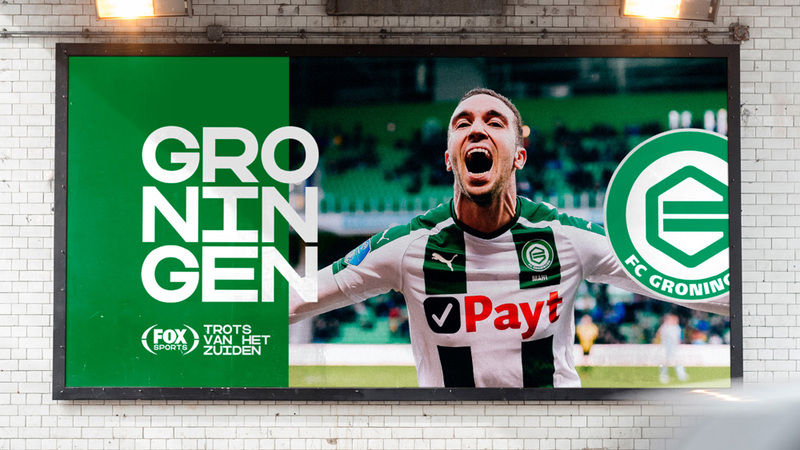 The heart of the challenge was to transform FOX Sports - which had a distinctly bold US-centric look to the ‘Home of Dutch Football’ and make it more in sync with the needs of the localised Eredivisie-led focus of the Netherlands brand. An essential part of the process to make FOX Sports Netherlands feel more localised was to streamline the FOX Sports logo and identity. DixonBaxi stripped back the logo to its most recognisable features and updated the typography. 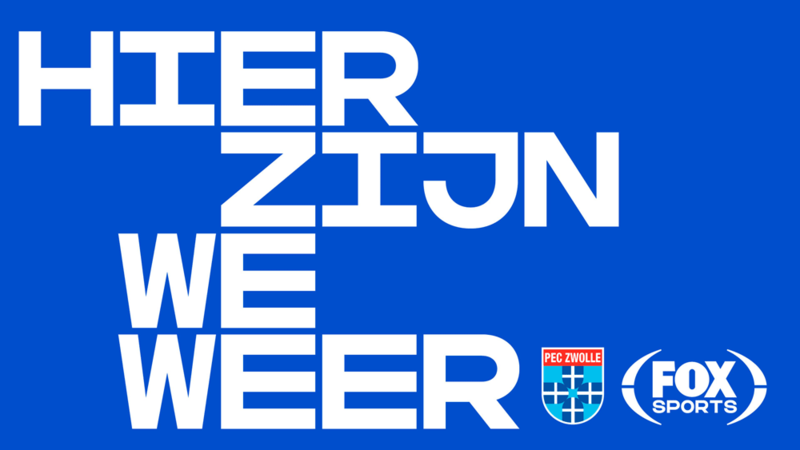 The new logo is simpler and confident - more in keeping with Dutch design and more practical for cross-platform use. There is not much to say about the logo, in part because this project isn’t about the logo, but it’s contextually an improvement over the over-stylized version used in the U.S. and other markets. (I specifically said “contextually” because in the U.S. broadcast, the more gaudy logo “works” well with the over-the-top Fox graphics.) The cleaned-up version is fine and less annoying but mostly it just shows how dopey those swooshes are. The more mechanical “SPORTS” has been replaced by the custom monospace font for this project that doesn’t look like much on the logo but it’s all kinds of great outside it. A simple square grid system is the foundation of our whole design language. 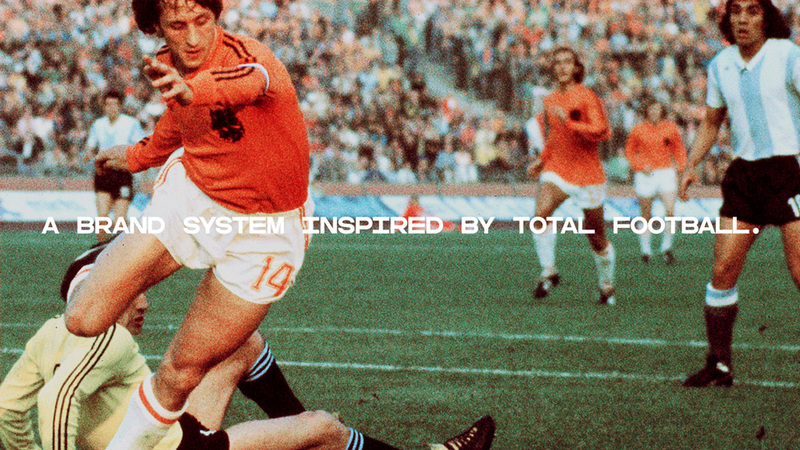 Inspired by Total Football, where the entire team works together to create a system that allows free movement and self-expression and has become synonymous with Dutch football. Every aspect of the design was defined by the square grid. From a bespoke monospaced typeface to a modular system for all on-air match graphics that has endless potential. 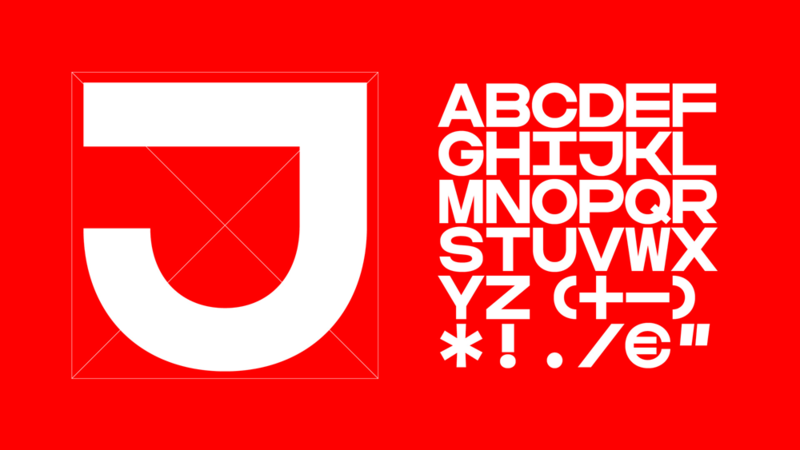 Identity system inspired by “Total Football”. 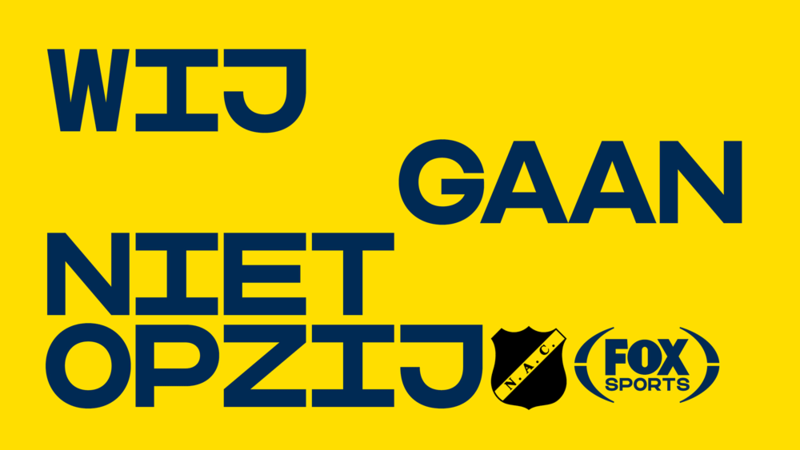 We worked with type designer Ondrej Jób (Urtd) to develop ‘Sparta’ a bespoke typeface for FOX Sports. Named after the oldest professional team in Dutch Football, the bold graphic style encapsulates the energy and upfront attitude of the fans. Its distinctive square, monospaced style is designed to fit into the square grid structure - allowing it to move and react in motion like a team in full flow. 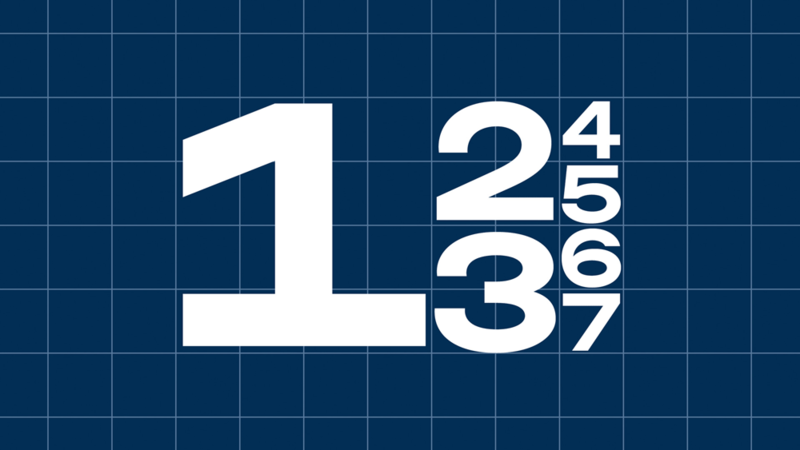 Numerals at different sizes on the grid. The custom font marries a couple of current trends — Brutalism and monospace fonts — into a bold, single-weight, unapologetic typographic language. On its own, or just looking at the A-to-Z line-up, it’s perhaps even a little unpleasant but within the grid, shifting sizes 200% at a time, and in motion, it carries a great, single-minded energy. The few static applications shown are good. The ads directly above look almost as if they were for museum exhibits or some other cultural event. The ad above those, yeah, that’s more like it. In motion, though, things get cracking. All the animation behaviors revolve around a square grid, with elements sized to fit different size squares and appearing/disappearing out of and into the invisible grid in all four directions. The system provides a solid framework for functional elements like the clock display and on-screen information as well as a highly engaging system for bumpers and more expressive moments. Overall, this is a great on-air look that isn’t just gratuitously cool but is built on a strong concept that digs deep into what makes Dutch football special. Launched in 2013, Fox Sports Netherlands is, as its name implies, the Dutch version of Fox Sports, consisting of seven channels and a significant online presence. It is owned by Fox International Channels Benelux and Eredivisie Media & Marketing CV, the company that manages corporate media and sponsorship rights for Eredivisie, the Dutch premier football league -- which makes football the primary focus of all the Fox Sports channels, sprinkling some other sports in between. 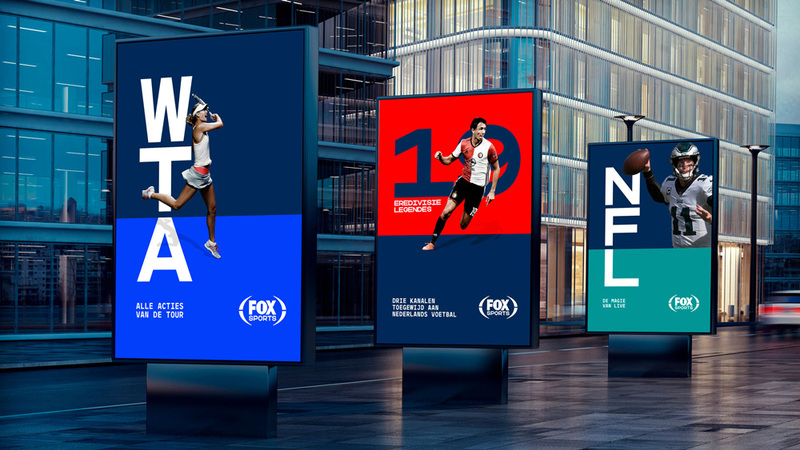 This week, Fox Sports Netherlands introduced a new identity and on-air look designed by London, UK-based DixonBaxi. UnderConsideration is a graphic design firm generating its own projects, initiatives, and content while taking on limited client work. Run by Bryony Gomez-Palacio and Armin Vit in Bloomington, IN. When choosing between competing products and services, please consider our advertisers, who help support Brand New. Brand New uses Mercury Text ScreenSmart and Operator ScreenSmart from Hoefler & Co.